What monitors do you have/want (or think are the best)? Currently, I have a super-cheap 1080 AOC monitor with rather shite colour quality. I'd really like one of those "5K" monitors, but both the Dell and Apple options blow my entire new computer budget on that alone (granted you get a free Mac inside your Apple 5K monitor), so I'll have to pick something else as my ideal. For that matter, is now a good time for monitor buying (eg. mostly predictable improvements year-to-year) or too volatile to predict which technologies will prove worthy for a longer-term investment? cjmcjmcjmcjm wrote: What monitors do you have/want (or think are the best)? 1. Better than Twisted-Nematic (TN) technology -- TN is one of the first technologies and currently has the fastest display characteristics. However, TN panels change in color as you move your head around, even slightly. If you have a low-quality TN screen, view this web page for example and you can see the color changes even between the "top" and "bottom" of a typical TN screen. I'm personally looking at IPS or VA screens to purchase, sacrificing some gaming specs for a little bit better display angles and color clarity. 2. Decent color coverage -- High-quality color coverage is extremely expensive. I've somewhat arbitrarily chose sRGB coverage as my benchmark, although higher-quality benchmarks exist (for example,Adobe RGB). Low color coverage causes "banding", "dithering", and other artifacts in otherwise smooth gradients. High sRGB coverage (close to 100%) will reduce the effects and show the colors as the graphic artists wanted them to be. Arguably, you should also work to color calibrate your screens when you get them... at least if you're serious about graphic design. 3. Better than 1080p -- I do video editing as an occasional hobby, often with 1080p video. I'll want a bit of extra room, not necessarily to see the whole 1080p video on screen... but maybe 720 worth of room + enough room to still do video editing with the preview window up. The "smallest" screen that's acceptable is therefore the 21:9 monitors (2560x1080 resolution). 2560x1440 and 4k (3840x2160) are also an option. It should be noted that "response time" is more of a blur measurement, and NOT a good measurement of display lag. Display lag will always be much higher than "response time", as it includes the calculations of the scaler and protocol speed issues. Most monitors have 1ms to 4ms response time, but all monitors have display lag 9ms or higher. (some TVs have display lag of 60ms+ with only 1ms of response time). 5. FreeSync / GSync support -- I have a (recent) AMD Graphics card, which forces me to use FreeSync. (Nvidia users have to use a GSync monitor). Fortunately, FreeSync monitors are hundreds of dollars cheaper than GSync, although the feature still costs a pretty penny in either case. FreeSync and GSync currently require a DisplayPort cable and a relatively recent graphics card. The monitor that matches all of the above specs is the LG 29UM67. With 99% sRGB coverage, 2560x1080p, 75Hz and yes, FreeSync support... it matches all my specs. NewEgg has a sale right now at $380, which is the cheapest I've ever seen this particular monitor. LG also has a 34-inch version, but I'm not quite sure that I'd pay over a hundred dollars more for a bigger monitor without better resolution. However, LG just announced a 4k version of the 29-inch monitor... along with a 9.7ms display lag specification. $600 is steep though, almost double the other monitor. For those willing to sacrifice color clarity and focus entirely on gaming specs, the best "gaming" monitor is still likely the TN panel: Asus MG279Q. With the standard gaming TN panel, Asus pushes 144Hz with FreeSync support (a similar model is available with GSync). Asus manages to achieve 100% sRGB with a TN panel, 144Hz and 1440p. I'd bet that it has a narrow field of vision however (being TN) and would recommend it to those who want to optimize gaming specs above all else. $600 there for probably the best reviewed gaming monitor right now. cjmcjmcjmcjm wrote: For that matter, is now a good time for monitor buying (eg. mostly predictable improvements year-to-year) or too volatile to predict which technologies will prove worthy for a longer-term investment? There's been a lot of movement recently. The switch to 4k, the prevalence of superior-grade panels (IPS, VA, PLS...), above and beyond TN. And my personal favorite: FreeSync / GSync. I can't think of much movement in the near future however. Gamers will be unsatisfied with 4k: a GPU that can actually game at 4k will cost you $1500 at least today (you'll need two ~$750 GPUs to drive 4k gaming), and the motherboard / CPU setup will be steep as well. Panel technology is always in flux, but seeing IPS reach decent gaming specs bodes well. The main question is AMD's FreeSync technology vs NVidia's GSync technology. Like the BluRay vs HDDVD or VHS/Beta wars of the past, this new monitor feature will only work with specific company's graphics cards. Take a side (I've personally chosen AMD's FreeSync) and go for it. Display Port 1.2 only supports 4k / 60fps. Period. You'll need more than one cable to support 5k and above... or an upgrade to DisplayPort 1.3 (or overclocking). HDMI 1.4 only supports 4k / 60fps with 4:2:0 chroma downsampling... so... we're gonna be "stuck" at 4k for a long time. Even then, Windows programs like Chrome and Adobe Acrobat need to still upgrade their upsampling to work in 4k mode well. (Microsoft supported high-DPI since Vista, but software makers have lagged behind on updating the individual programs.). For better or for worse, there's a lot of friction at 4k. Software and Protocols have become the "short stick". Apple can power-through since they don't have as much 3rd party software and also more control over device drivers and such. (IIRC, the iMac 5k monitor uses a non-standared overclocked signal internally... and works with other Macs using the proprietary Thunderbolt cable). It will take a few years for the industry to resolve the problems at 4k. cjmcjmcjmcjm wrote: I'm thinking of going 4K, myself. Once you've seen a retina/HiDPI 27" display, you really don't want to go back. Unfortunately, I guess I'll have to play my games at 1080p or windowed. Such is life. While that's true, it is also true of advanced-panels (IPS and VA), high-color coverage and 144Hz displays (assuming your GPU can push out 144Hz). So its a case of "pick your poison", what part of the display is the most important to you? Fortunately... aside from 144Hz... you can have a 4k panel that does it all. Advanced panels like IPS and VA can't do 144Hz anyway... so if you're getting a high-quality high-color coverage 4k screen... its probably going to be IPS. Point. It is Intel's technology. But it seems to only be popular within Apple's ecosystem. I'm not a competitive FPS player, so 144Hz is less important than decent colour quality and respectable viewing angle. So I'm gonna post in this thread to ask a mostly monitor-related question rather than start a new thread. I've had my eye on this monitor for a couple weeks now. It's an Acer XB270HY 27" 1440p 144Hz monitor. I definitely want to make the jump to higher refresh rates, and I also would like to bump up to 1440p (I don't really think 4K is quite there yet for the refresh rate I want to hit, in terms of pricing). It also has G-Sync, which is nice. First question: opinions on this? Alternatives? I'm pretty set on 1440p and >60Hz, but am open to arguments for why I shouldn't go that way. Second... this will necessitate me upgrading my current computer. It's an overclocked first-gen Sandy Bridge build with a GTX 760, and while it handles most games fine on 1080p, it's starting to show its age. I'm looking at a GTX 980 now that the price has dropped with the release of the 980ti. I feel like it's probably the most affordable card that can handle 1440p and 144Hz well, but again, I'm open to alternatives and alternate configurations (SLI/Crossfire?). To support this, I'm also looking at a new processor, and this is really where things get hairy for me. I'm unsure about the most recent lines of Intel's processors, I see a ton of "Haswell-E" and "Ivy Bridge-E" cores that are all different core series. I thought I was up to date, but the CPU names convention seems to have changed without me noticing. I've had my eye on an i5-4690K, but then I see stuff like the i7-5820K and wonder when the jump to the 5xxx series happened? Is there now an i5-5690K that I don't know about that I should get instead? This obviously affects the rest of my build, since I was planning pairing the i5 with a Z97 board... So many questions! If anyone more knowledgeable than I can answer these, it would be greatly appreciated. The only 144Hz monitors are TN, which have poor viewing angles and poor color accuracy. I've got a 75Hz IPS Monitor with greater viewing angle and high color accuracy. Do you want high Hz or better accuracy / viewing angles? Thats all it really comes down to. Also, FreeSync is significantly cheaper, I'll go more into that later. Single GPU for the win. I'll note that FreeSync + R9 390x or even Fury (non-X) will be cheaper, since you save roughly $100 going FreeSync over G-Sync. Beyond that, its kind of a holy war between team green and team red, so take what you like. GSync / FreeSync are both great tech. For example, the Acer XB270HU GSync costs $750. So in this case, the difference is about $300. And yeah, they are the same monitor. The only difference is GSync vs FreeSync. You can basically buy a top-of-the-line liquid-cooled Fury X + FreeSync monitor for the same price as a GTX 970 + GSync monitor. Single GPUs have better frame latency metrics and less stuttering. This is true with both NVidia and AMD cards. So always max out on a single GPU before getting SLI or XFire CPUs. Extreme series has _always_ been +1000 over the normal series... for dumb marketing reasons. Pay no mind, its just Intel being jackasses with their naming convention again. Current generation "extremes" are 5xxx, while current generation normal CPUs are 4xxx. If an i5 is good enough, just get an i5. The extreme series is good if you want a hex-core supporting 12-threads with ilke 40+ PCIe lanes (using all the PCIe lanes on PCIe SSDs or something...). But your standard CPU / Motherboard combinations have like 24 lanes (split into x4 / x4 / x8 for triple-crossfire / triple-SLI support), which is more than enough for the typical person. Extreme series is truly extreme. KnightExemplar wrote: The only 144Hz monitors are TN, which have poor viewing angles and poor color accuracy. I've got a 75Hz IPS Monitor with greater viewing angle and high color accuracy. Are you sure about that? The Amazon link doesn't say one way or the other, but the Newegg link for the same monitor specifically says it's an IPS panel, and all the reviews indicate it is as well. The PCPartPicker link agrees. I would definitely like to stick to IPS - that's the first reason that the Acer monitor stood out to me. I'd like to find a 1440p IPS panel with >60Hz. It looks like this Asus monitor fits the bill quite nicely as well, with Freesync instead of GSync... They're all advertised as IPS panels. This will primarily be a gaming rig, so an i5 should be fine. My current CPU is a first-gen i5, and it's held up quite well. i5-4690K it is! Thanks for the commentary, by the way. It's helpful to talk it all out. Interesting. I wasn't aware of any IPS monitors that hit 144Hz. Good to know. Yeah, but even a Fury X (or NVidia 980 Ti) won't get you to 144Hz at 1440p unless you cut down on a lot of settings. You'll almost certainly hit above 60 FPS at that resolution, but maybe cap out between 70 to 90 depending on the game. 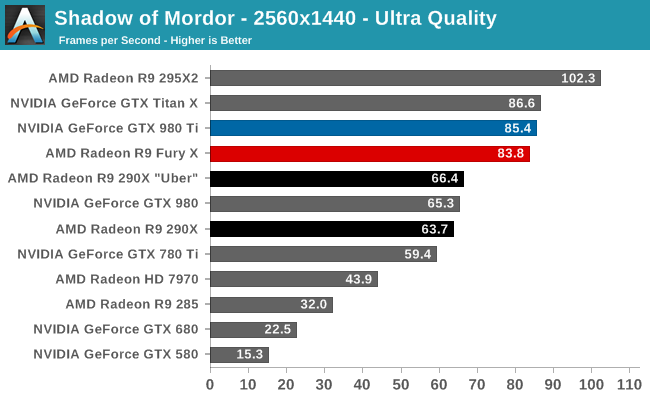 But even if say... two R9 290X will get you higher FPS, it will have more stutter and more driver problems than the Fury X. So for simplicity, driver issues, and stutter issues, its simply better to cap out on the highest GPUs possible. After all, what's the point of 144Hz if its a stutter-fest anyway? Its better to have silky-smooth graphics at 70 FPS than jerky graphics at 144Hz. Last edited by KnightExemplar on Fri Jul 31, 2015 6:12 pm UTC, edited 1 time in total. KnightExemplar wrote: Yeah, but even a Fury X (or NVidia 980 Ti) won't get you to 144Hz at 1440p unless you cut down on a lot of settings. You'll almost certainly hit above 60 FPS at that resolution, but maybe cap out between 70 to 90 depending on the game. I agree. There was a vain hope in my mind that I would be able to get a single GPU that would be able to push 144FPS at 1440p... Trying to match the FPS output to the refresh rate and all that. But it doesn't look like that's gonna happen. Still, $650 for a graphics card is steep... I have to think more about this decision! Skylake is all rumor-mill right now. So just keep an eye on it and figure out if its good or not. All info on Skylake should be treated as rumors / inaccurate until the actual chip is released and online reviewers get their hands on it. This is likely what I will do. My rig runs fine for 1080p gaming right now so we'll see what ends up happening with future processors. Obby wrote: I agree. There was a vain hope in my mind that I would be able to get a single GPU that would be able to push 144FPS at 1440p... Trying to match the FPS output to the refresh rate and all that. But it doesn't look like that's gonna happen. Still, $650 for a graphics card is steep... I have to think more about this decision! Generally speaking, monitors are "future proof" buys. The monitor you're getting should be more expensive than any singular component of your computer, because you will reuse this monitor for maybe... two or three builds out. In the future, some awesome future-tech GPU will finally be able to drive the monitor at 1440p / 144Hz. But for now, you take advantage of the "smooth scaling" up to 144Hz thanks to FreeSync / GSync. If your GPU can "only" output 60 Hz, no problem! Monitor scales down and it becomes smooth. If you get an upgrade later to 90 Hz, the monitor scales up to 90Hz. And when awesome magic GPU comes out 5 years from now and can actually hit 144Hz, the monitor will still be scaling up at that point. With FreeSync / GSync, you don't have to worry about matching the FPS with monitors refresh anymore. It really is a great technology.